Fly fishing in Mauritius will give you that opportunity to catch the fish of a lifetime. The spectacular, unspoiled atolls of Mauritius will provide you with some of the best saltwater fly fishing. Stunning fish inhabit these waters and the wading for Bonefish is some of the best you will find on the planet. This fishing adventure is like no others out there! Rodrigues Island offers anglers a unique opportunity to fish for some incredible species. 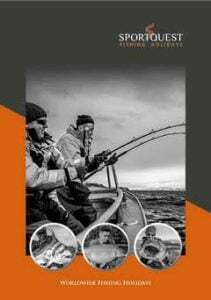 The fishing style used is completely down to you as the itinerary can be completely tailored to suit how you wish to fish and the species you wish to target. In addition to this, we some excellent tackle package waiting on board for you to use completely free of charge. Deep within the Indian Ocean, due east of Madagascar and 300 miles northeast of the island of Mauritius, lies an obscure and seldom visited atoll. St. Brandon’s atoll is a wade fisherman’s paradise blessed with enormous hard sand flats and staggering numbers of huge Bonefish making it on of the best Bonefish fishing destinations in the world. Mauritius is an Island in the Indian Ocean which is known for its sensational beaches lagoons and reefs. The paradise of an Island has many extraordinary atolls within its waters. These atolls provide the travelling fly angler with some of the most fantastic saltwater fly fishing available. The most popular destination for fly fishing in Mauritius is the St Brandons Atoll. This beautiful atoll has a hard bottom which enables you to experience some of the best wading for Bonefish that can be found anywhere on earth. It is not only the sensational Bone fishing available that makes Mauritius such a mouth-watering prospect for travelling anglers. Other amazing species you can catch on this special fishing trip include the stunning Indo-Permit and the super fast, extremely strong Giant Trevally. Other sought-after species include Bluefin and Golden Trevally. St Brandons Atoll is not the only fishing destination in Mauritius where you can expect to find the fantastic sport. Big game fishing in Mauritius is equally as remarkable as the fly fishing with the potential to catch species such as Marlin, Sailfish and the super aggressive Dog-tooth Tuna. Mauritius always proves to be an outstanding destination to visit. It has unrivalled scenery and fishing unlike you anything you have experienced before. We specialise in making sure you get the best sea fishing experience available with our fully packaged holidays. Our expert team will be on hand to offer any advice you need and answer any questions you have, you can contact our experienced team via our website. Alternatively, you can request a free brochure. All rights reserved. All the printed, graphic and video content of this website is protected by copyright and distributed under licenses restricting copying, modification and distribution. If you would like to use and of the images on our website, please contact us. Each year Sportquest Holidays produces brochures covering all of the different types of adventure holidays. Make sure you request your personal copy today.